The team at the bottom of the group is playing the team in second place and you would imagine that Australia have got more than enough in their locker to deal with the Chinese in this game. 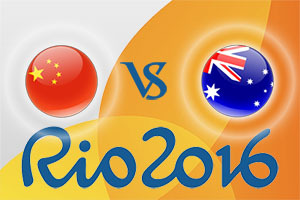 The Chinese are the only team in Group A yet to win a game while Australia come into this match on the back of a tough but spirited encounter against the United States. China lost by four points in their most recent game, the clash with Venezuela. This was the game that China were going to have their best chance of success but the narrow defeat with have been a sore one. Guo Ailun provided 17 points for the Chinese who has a strong second and third quarter but just couldn’t hold on for the victory. The most recent Australian game was against USA so no one expected them to win but they pushed them close. The 88-98 defeat was a tough for Australia to take but it may well be the hardest game the USA have to play this summer. Patty Mills was once again the key player for the Australian side, providing 30 points in the defeat. Until they finish as high as they can, and they’ll want to take second place behind the Americans, the Australians won’t let up and this means you should take Australia at -29.5, which you can find at odds of 1.90. A win here will ensure the Aussies continue in the tournament and they’ll want to book a good spot in the knockout round. If you are looking at the Over/Under market for this game, go UNDER 153.5 which is available at odds of 1.90. As Australia are such big favourites, there isn’t really any value in looking at the other Prop bets for this game. Bet Now! The Player Performance bets are a different matter though and there are some things to look out for. Patty Mills has been on fire for Australia in this tournament and he can be backed to grab at least 18.5 points at odds of 1.80 in this game. For Guo Ailun, bet on him scoring at least 8.5 points at odds of 1.80. The game starts at 1815 BST on Friday 12th of August.